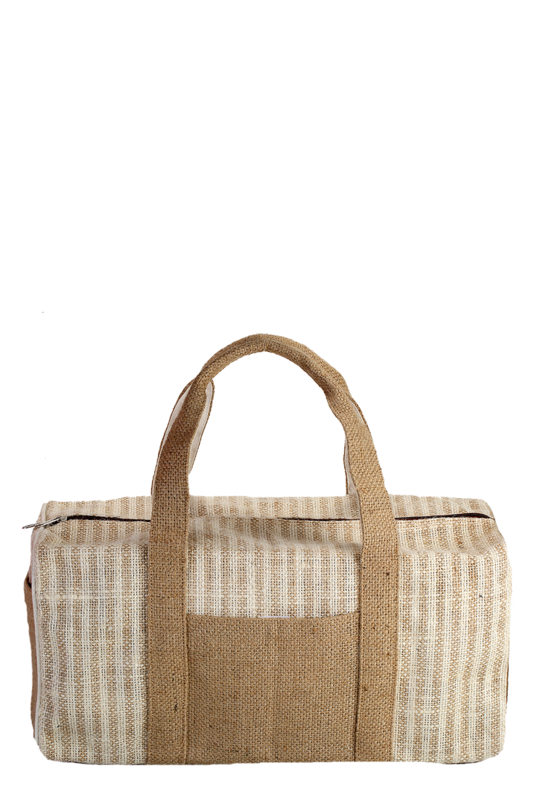 Finished in 100% Jute fabric, this bag is sufficient to accommodate your entire luggage. It is large, handy and convenient to carry in any place you like to venture around. 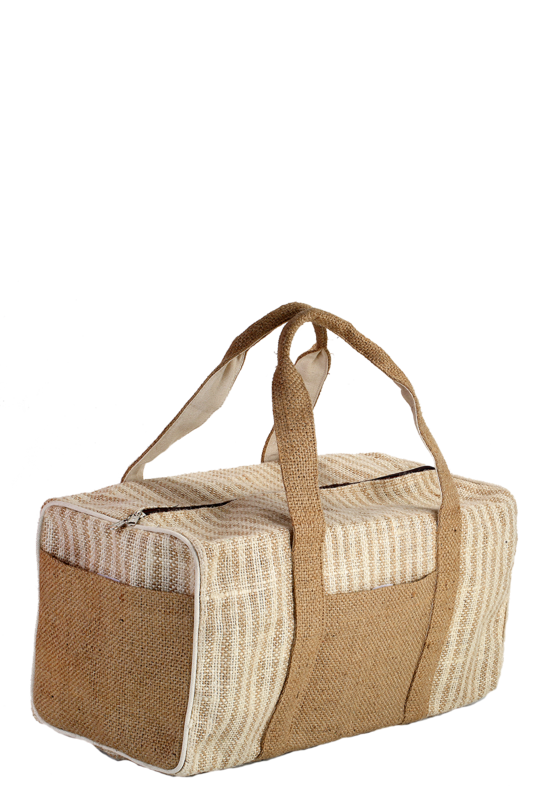 It has a front pocket and a side pocket with tough carrying Jute made adjustable shoulder strap that ensures stronger grip. This bag is about 29 cm in height, 25 cm in width and 10 cm in depth that typifies brilliant load bearing capacity. In short, you can make this duffle bag your traveling partner.